Microsoft’s second significant update for Xbox One is rolling out to gamers as we speak. It delivers a number of features across the board ahead of next week’s launch of Titanfall, the highly anticipated multiplayer first-person shooter. In a blog post on the matter, Microsoft said they’ve received a ton of feedback since the launch of the console last November. The update addresses much of this feedback including the ability to get to your friends list faster, enabling party chat by default and making it easier to invite friends to multiplayer games. Elsewhere, gamers will now be able to enjoy Dolby Digital 5.1 support via optical out and Dolby Digital surround sound over HDMI. Players will now have access to a recently played with list which will make it easier to stay in touch with others and make new friends while those that have had issues with watching live TV on Xbox One should see improvements with support for 50Hz output. 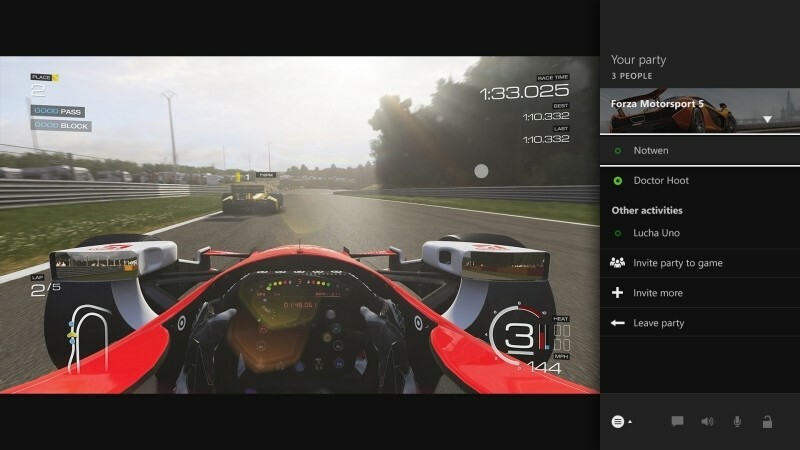 Without a doubt, the biggest new feature included in the update is the addition of Twitch live streaming. Well, let me rephrases that – the update lays the groundwork for Twitch. The actual app won’t be released until March 11, the same day that Titanfall drops. Microsoft also outlined some other updates coming later this month including the ability to make it easier to adjust the volume on the console, new ways to stay connected with SmartGlass, support for new accessories and browser improvements, just to name a few.